More than often, many make the mistake of confusing Dubai for the whole United Arab Emirates. This downplays the significance of the other principalities and their contribution to the country’s heritage and culture. Indeed, Dubai is one of the world’s most beautiful metropolises, but it is just a part of the much wider UAE. Out of all the Emirates, there is one that could be considered somewhat a big brother to the rest and that is Abu Dhabi. Although it is sometimes forgotten in the shadow of the more famous Dubai, it is just as beautiful with many amazing elements to enjoy. So here is our guide to the beautiful and the largest of the Emirates, Abu Dhabi, and why you should definitely visit it. 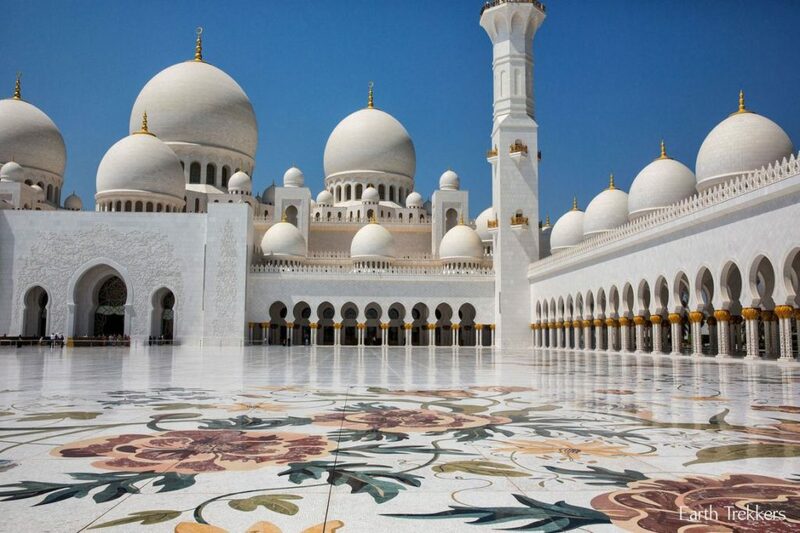 With a capacity of more than 41,000 people, the Abu Dhabi Grand Mosque has established itself as the largest mosque in the country, as well as its religious center. The Grand Mosque is one of the world’s most beautiful with its silk-white domes, marble courtyard, and overall serene outlook. The inner prayer area is also home to the world’s largest and most beautiful Iranian handmade carpet. The mosque is one of the cultural hallmarks of modern-day UAE, and should definitely be granted a visit on your travel bucket list whenever you’re visiting the UAE. The water park is situated in the heart of Yas Island, Abu Dhabi’s leading multi-purpose leisure, shopping, and entertainment center. Yas Island was voted the world’s leading tourism project at World Travel Awards in 2009. Perhaps one of Abu Dhabi’s most iconic landmarks, the Kempinski-operated Emirates Palace blends Arabian grandeur with the world’s leading luxury standards to provide guests with an unmatched experience. From wing to wing, the hotel stretches over a staggering kilometer, with 114 domes clad in gold, mother of pearl, and crystals; this is the kind of craftsmanship that can only be found in a handful of locations around the world. The palace is also home to 1,002 chandeliers with the largest weighing 2.5 tonnes. Additionally, the main hall is decorated with two handmade carpets portraying the palace itself. Home to the world’s fastest roller coaster, Ferrari World Abu Dhabi is the first Ferrari-themed amusement park in the world. It is situated on Yas Island Abu Dhabi and was named the Middle East’s lead tourist attraction by World Travel Awards in 2015 and 2016. With the first situated in Bahrain, Yas Marina Circuit is the Middle East’s second Formula One track. 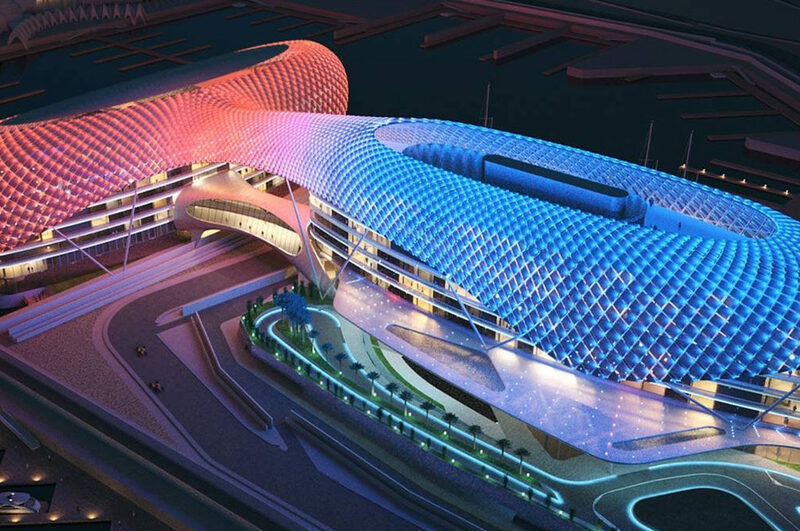 It is home to the Abu Dhabi Grand Prix, which is a heaven on earth for all Formula One fans out there. The good news is, even if you are not an F1 fan when the circuit is not being used to host Abu Dhabi Grand Prix, the 5.5-kilometer track could be used as a running track. Via Teach Middle East Magazine. Perhaps one of a handful of places that truly represent the culture, as well as historical heritage, of the United Arab Emirates, the Sheikh Zayed Palace Museum was home to the late Sheikh Zayed and his family until 1966. It was later on converted into a museum that celebrates the country’s rich history. Here, one can find the Bedouin architectural style contrasting with more modern design concepts in the most picturesque of ways. Originally designed in 1891 to protect the surrounding palm farmers, Al-Jahili Fort is Abu Dhabi’s oldest standing fortification. It has been restored by the Department of Antiquity and Museum in Al-Ain. However, the fort that is standing today is the product of the final restoration conducted by Abu Dhabi Authority for Culture and Heritage. It now includes a visitor’s office, a gift shop, and a public square for exhibitions and cultural activities. As part of an agreement between the French government and the city of Abu Dhabi, the French Louvre chose the Emirati capital out of all the cities in the world to be home to its only branch outside of Paris. The Louvre Abu Dhabi focuses on the gap between Western and Eastern art. Louvre Abu Dhabi is the largest museum in the Arabian Peninsula with artworks from all over the world showcased there. The Heritage Village in Abu Dhabi is a deep dive into the Bedouin way of life; a time capsule that will take you back in time before skyscrapers dominated the Emirati skies. The village is home to a souk, a mosque, and an encampment from the time before Abu Dhabi was modernized. There, you can watch artisans making pottery or weaving fabric on a loom. A UNESCO World Heritage Site since 2011, Al-Ain Oasis is the largest of the region’s oases spanning 3,000 acres in width. The area is home to 147,000 date palms and is open to the public providing them with an insight to the desert and how the people inhabiting the UAE managed to tame it. WE SAID THIS: Don’t miss Where to Dine in Abu Dhabi!